Arrange the tofu, zucchini, and pepper pieces on skewers. 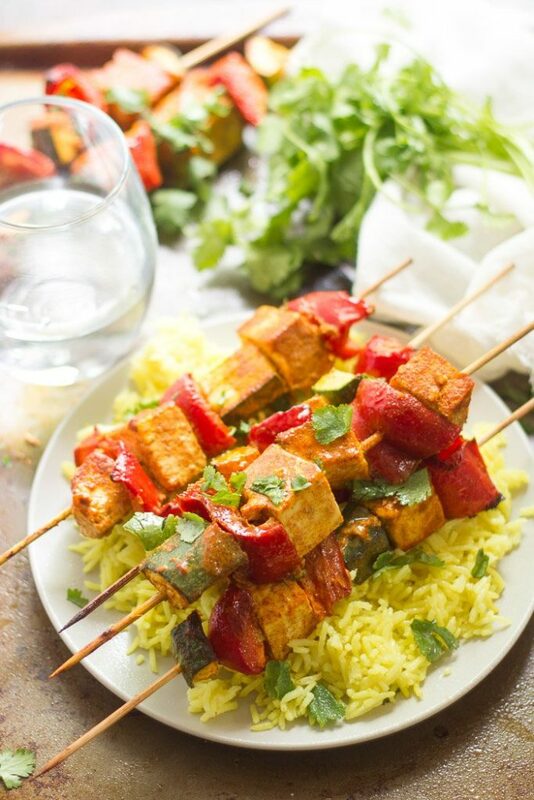 Divide the skewers onto plates with rice, sprinkle with cilantro, and drizzle with tahini. Serve.